As summer rolls along, we wanted to talk to you about these great summer brands that are relevant to your customer right now. Be sure you pull these types of products to the front or middle of the boutique as your feature products. And stock up so you don’t run out during the height of buying season for these great-selling brands. We scoured all the organic and natural sunscreen products on the market. And what we found was quite surprising: there are very few truly organic or natural brands out there and most claiming to be - still contain chemicals like Oxybenzone and Octinoxate! Check your labels to make sure your products do not contain these harmful ingredients. Luckily for all of us, we discovered MS Solar Sciences, created by the leading dermatological oncologist Dr. Robert Friedman. To see how your sun products rate on safety, efficacy, protection and organic quality, check out www.ewg.org and compare your products to MD Solar Sciences. View MD Solar Science Product Collection and Contact Us if you are would like more information, have a question or would like to place an order. Working in the yard, hiking, biking, playing golf and all the other outdoor activities you do, can lead to joint and muscle soreness. For immediate and long-lasting relief of your aches and pains, Jadience is your all-natural solution! 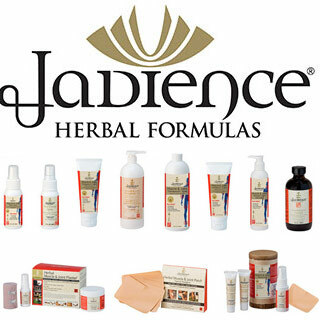 View the Jadience Product Collection and Contact Us if you are would like more information, have a question or would like to place an order. Looking for that performance edge? Whether you are a serious athlete or weekend MVP, Oxygen Plus increases stamina and helps muscles recover faster from fatigue. With just 3-5 inhalations, you can immediately restore optimal oxygen levels in your blood for improved performance and recovery. Also great for your summer travel to overcome jet lag or help acclimate at high altitudes. View the Oxygen Plus Product Collection and Contact Us if you are would like more information, have a question or would like to place an order. TAO: pronounced “dow”. The unconditional and unknowable source and guiding principal of all reality... THE WAY. The one product every man needs! Daily skin defense 3-in-1: cleanse impurities, combat irritations and defy signs of aging. The easiest product to sell to every male client for daily use. Watch them become repeat clients as their skin becomes addicted to the amazing and all-natural benefits of TAO. View the TAO Product Collection and Contact Us if you are would like more information, have a question or would like to place an order. 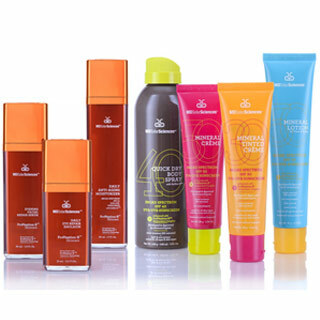 The perfect cosmetic line for spas! With only 6 multi-use products, your inventory problems are over, but your color choices have never been better or more natural. Makeup artists LOVE this brand for its ability to create any color combination desired in a compact and portable assortment. Your clients will LOVE it because it’s all natural, the textures are beautiful, the coverage is flawless and their makeup bags just became the size of a coin purse! Guaranteed to please all the die-hard mineral fans from every other brand, Susan Posnick Cosmetics complements your favorite lash and brow brands to complete your cosmetic offerings. It’s all you need! 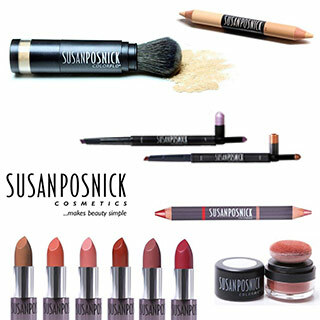 View the Susan Posnick Cosmetics Product Collection and Contact Us if you are would like more information, have a question or would like to place an order. Sure there are plenty of bath products and experiences (in fact we have two of the best with Jadience and Ruby Room), but what about something for the shower? After all, about 99% of your clients take a daily shower versus a bath. HDYRA shower bursts make every shower an aromatherapy experience to delight the senses. Just open the pod, place it in the shower and voilà! 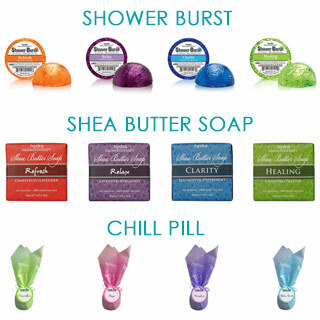 Instant “spa at home” in a variety of scents to soothe, invigorate or relax. And talk about the softest, finest-milled shea butter soaps - the aromatherapy infused soaps are moisturizing and long-lasting, the perfect bar of soap for every bathroom in the house. Everything from HYDRA comes in colorful, eye-catching packaging to jump off your shelves and into your client’s shopping bags! View the HYDRA Product Collection and Contact Us if you are would like more information, have a question or would like to place an order. à la mode partners answers the industry demand to simplify the lives of spa and hotel buyers by sourcing, curating and presenting a collection of emerging, trendy and eco-chic retail products. We also offer services to enhance profitability such as promotional marketing/planning, staff training, visual merchandising and display support and many others. We bring our clients an inspiring collection of products and services to enhance their profitability while providing their guests with the ultimate spa experience and lessons in a healthy, enriching life experience. 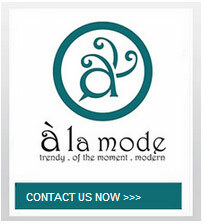 à la mode partners is your premier retail resource for emerging, trendy and eco-chic products.